Leaked cables reveal former French president Sarkozy planned to work with Russia, set US ultimatum to back Palestinian statehood. Among the trove of new, previously secret documents released by Wikileaks Tuesday - which revealed that the US had been spying on three French presidents - is a US intelligence cable which claims that France had planned to launch a new round of diplomacy between Israel and the Palestinian Authority behind the back of the American administration. According to the leaked cable, in 2011 then-French President Nicolas Sarkozy "affirmed on 7 June his determination of go forward with an initiative to restart direct Mideast peace talks between Israel and the Palestinians," despite what he claimed was "an apparent lack of interest on the part of some major players." The cable further notes that Sarkozy, along with his Foreign Minister, Alain Juppe, had considered involving the so-called Middle East Quartet - the United States, United Nations, European Union and Russia - in the process, but "were wary about such an invitation because that group might not bow to Paris's wishes." In particular, the fear was that since France is not a member of the Quartet, it would find its initiative scuppered by the major powers who were. "Not being a member of the Quartet, they surmised, France would have no control over what transpired in one of its meetings, and if the group elected not to support direct talks, the French initiative would be a non-starter," the cable read. France was also concerned that then-US Secretary of State Hillary Clinton and Russian Foreign Minister Sergey Lavrov "would dominate the proceedings." Instead, Sarkozy had considered one of two options: "appealing to Russian President Dmitriy Medvedev for a possible joint initiative without the United States or, as another option, issuing an ultimatum to the U.S. President regarding Palestinian statehood." "The ultimatum would demand that Washington back France's efforts to restart the peace process, failing which Sarkozy would tell the U.S. President that Paris will not side with the U.S. in September (presumably referring to the deliberations in the UN General Assembly on Palestinian statehood)." 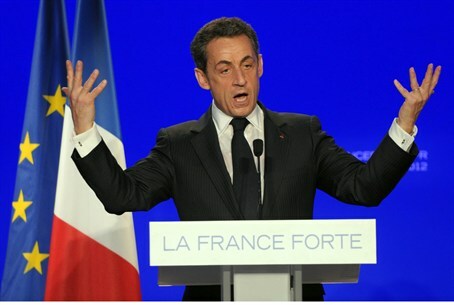 Sarkozy was just one of three French Presidents to have been spied upon by the NSA, the Wikileaks cables reveal. Jacques Chirac and current French leader Francois Hollande were also monitored by the US spy agency, and the revelations have sparked outrage in France. Snowden’s leaks revealed, among other things, that the NSA had monitored the phone conversations of 35 world leaders. Previous such documents sparked tensions with Germany, after Chancellor Angela phoned President Barack Obama and accused the NSA of monitoring her telephone conversations. Other Snowden documents showed that the U.S. had been monitoring the email traffic of Israeli officials, including former Prime Minister Ehud Olmert and former Defense Minister Ehud Barak.